The innovation in education we care about most isn’t about a glamorous silver bullet or the latest tech-driven solution. It’s about new approaches to our most longstanding and vexing problems—student engagement, rigor and relevance, teacher professional learning, and opportunity gaps to name just a few. We begin 2018 with an invitation for you to join CEI in an ongoing dialogue about Colorado's school accountability system. We believe we have an exciting opportunity to revisit our priorities and examine the limitations of our current system with an innovator's mindset. The Nature of Accountability is Ready for Change is the first in a series of EdPapers planned for 2018. 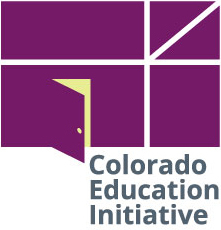 These EdPapers will take a deeper look at the subject of school accountability; we encourage you to share your perspective at accountability@coloradoedinitiative.org. Computer science (CS) is a critical area of growth for Colorado's economy, and thousands of computing jobs in the state remain unfilled each year. The future is now, and while professional development for teachers that is focused on CS principles and practices is a priority for many school districts, the costs associated with training, travel, and substitute coverage can often strain school and district budgets. One solution for Colorado school districts is Senate Bill 17-296, passed in 2017 to appropriate funds for CS education (CSEd) grants for teachers. The Colorado Department of Education is administering the CSEd grants, with $400,000 available for distribution in the 2017-18 school year. CEI is boosting the power of the grants with travel and accommodations scholarships for CS professional development o ensure equitable access to these funds. Registration is now open for the 2018 AP for All Summer Institute (APSI), July 9-12, 2018. AP educators from across the nation and around the world will convene at Metropolitan State University of Denver to discover strategies and resources to ensure all students succeed, including students of poverty and color who are typically underrepresented in AP courses. CEI will host the College Board-endorsed professional development event, where consultants will guide attendees through College Board resources such as course outlines, content-related handouts, scoring guidelines, and student samples. The registration fee is $675 and includes parking, lunch each day, and College Board materials. Graduate credit hours are available through Adams State University. AP Capstone professional development will occur simultaneously with APSI. What Do You Need to Help Students Succeed? 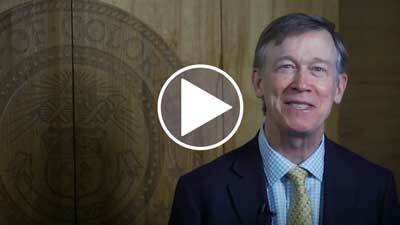 Colorado's Education Commissioner Katy Anthes and Governor John Hickenlooper want to hear directly from every school-based educator in Colorado. The TLCC Survey questions address instructional support, professional development, managing student conduct, use of time, leadership, facilities and resources, family and community support, and future plans. Demographic questions are limited to ensure that participant identity is anonymous. Reach out to your principal or association representative to receive your anonymous access code. Members of CEI's Smart Source team have collaborated with university and mental health researchers to explore Colorado's school behavioral health system using data from the 2015-16 Smart Source administration. The resulting report demonstrates how collaboration with community mental health centers (CMHCs) doubles the odds of implementing targeted interventions for students at risk of developing behavioral health concerns–a discovery that indicates opportunities for collaboration between schools and CMHCs should be considered. The article will be published next month in the "Accessing Care" special edition of School Mental Health. On February 12, several dozen business and community members in Southwest Colorado celebrated the academic growth of Native American students at Durango, Ignacio, and Montezuma-Cortez high schools during a reception at Fort Lewis College in Durango. The American Indian Measurable Success Initiative (AIMS) hosted the event to recognize the effort put forth by members of the support network that was created in 2016 to dramatically increase college and workforce readiness and success for Native American students in Southwest Colorado. Four students, two 2017 graduates of Ignacio High School who now attend Fort Lewis College, and two Durango High School seniors, held a panel discussion about their experience with AIMS. Each shared authentic and passionate comments about the support they have received, the importance of rigorous curriculum, and their personal visions for college and future careers. Seventy-six Native American students are participating in Advanced Placement (AP) classes or concurrent enrollment programs this year, a 375% increase from the 16 students who enrolled in the same options two years ago in the 2015-16 school year. "The AIMS project has had a profound impact on our systems in Durango School District 9-R," said Superintendent Dan Snowberger. "Not only have we seen a major increase in the number of Native American students graduating and engaging in post-secondary programs, we've seen a shift in culture where all students see rigorous college prep programs, such as AP classes, as a place in which they can find success."